We need to know the value of numbers. Estimate how many pop sticks are in the box? You can change your groups guess whenever you need to. What ways did your group try to count your pop sticks? How does it make number make sense? Swap with your partner so they can write down the value. When working with numbers, especially larger numbers, it can be very helpful to break the number down into smaller parts. Breaking a number down using place value can help us to see each smaller part that the larger number is made from. 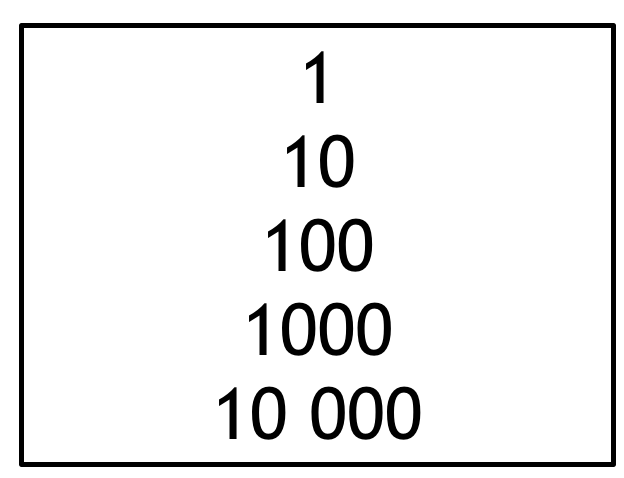 Label your whiteboard with your place value columns. Roll dice place digit on board. Look at the numbers, what pattern do you see?